A Pike County judge ordered one of the suspects charged with killing eight people in the Pike County massacre to have no contact with her co-defendants. WAVERLY, Ohio — A Pike County judge ordered one of the suspects charged with killing eight people in the Pike County massacre to have no contact with her co-defendants. 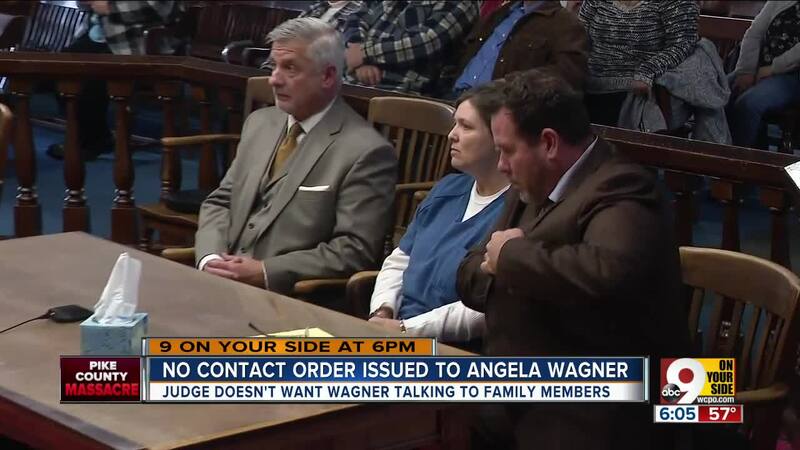 During a brief pretrial hearing Monday, Judge Randy Deering ordered that Angela Wagner have no contact, direct or indirect, with her co-defendants. That means she won't be able to communicate with her husband, two adult sons, mother or mother-in-law. 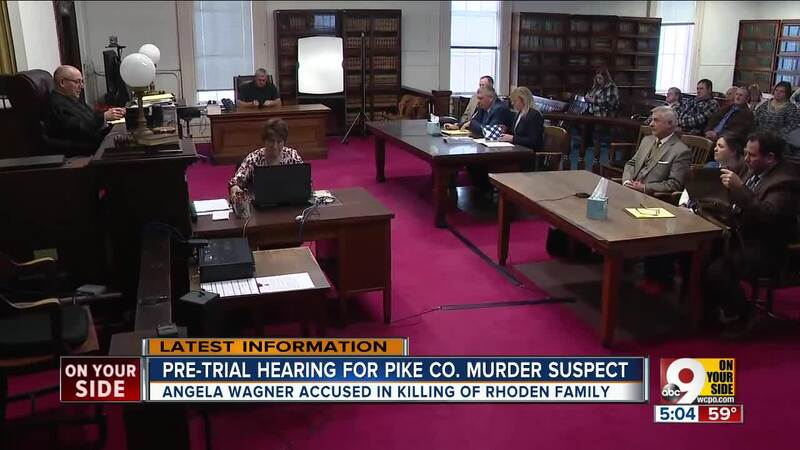 Wagner, her husband and their two sons are charged with conspiring to kill eight members of the Rhoden family and carrying out the plan on April 22, 2016 in rural Pike County. Defense attorney Robert Krapenc said he had already told Wagner not to communicate with any of the other suspects. Angela Wagner pleaded not guilty to the 22 charges during a hearing in late November. Deering ordered that she be held without bond. Attorneys representing Wagner have asked to have the case moved to a different court because of publicity, and for the possibility of a death sentence to be removed from the trial. Prosecutors will respond to those motions and 47 others filed by the defense by the end of January, they said Monday. George "Billy" Wagner III, George Wagner IV and Edward "Jake" Wagner have also pleaded not guilty and are also being held without bond. Two other family members — Angela's mother, Rita Newcomb, and Billy's mother, Fredericka Wagner — pleaded not guilty to charges that they helped cover up the crimes. Ohio Attorney General Mike DeWine, the governor-elect, has said that a custody dispute between Jake Wagner and one of the victims, Hanna Rhoden, "plays a role in this case." Angela Wagner's next hearing is scheduled for March 20. Attorneys will then make their arguments over the 49 motions filed by the defense in December.